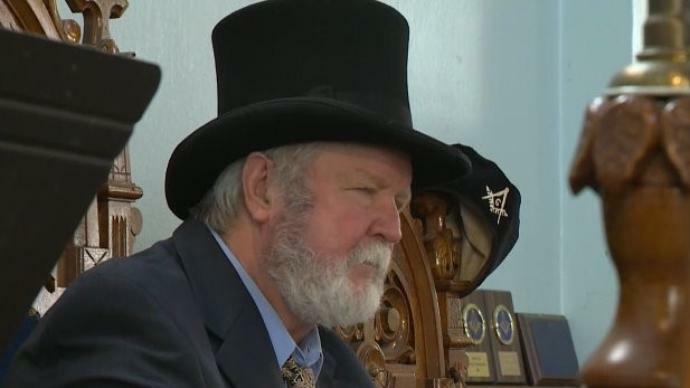 BRISTOL, Vt. (WCAX) Four members of the Masons, Lodge 47 in Bristol, were recognized Sunday for their years of service. Bill James, Roger Layn, Charlie Weisenback and Robert Fuller have served a combined 255 years. Outsiders don’t usually get to see what goes on inside, but WCAX News was invited to the ceremony. The Masons are the largest and oldest fraternal organization in the world. They’re known for secret rituals and centuries of traditions. © by Brick Masons. Visit BrickMasonStore and buy all the Masonic Regalia & Accesories you need!